A respected professor of Buddhist philosophy brings readers on a fascinating journey through Buddhism’s most animating ideas. Tom Tillemans, who has studied Buddhist philosophy since the 1970s, excels in bringing analytic and continental philosophy into conversation with thinkers in the Sanskrit and Tibetan traditions. This volume collects his writings on the most rarefied of Buddhist philosophical traditions, the Madhyamaka, and its radical insights into the nature of reality. Tillemans’ approach ranges from retelling the history of ideas, to considering implications of those ideas for practice, to formal appraisal of their proofs. The 12 essays (four of which are being published for the first time) are products of rich and sophisticated debates and dialogues with colleagues in the field. 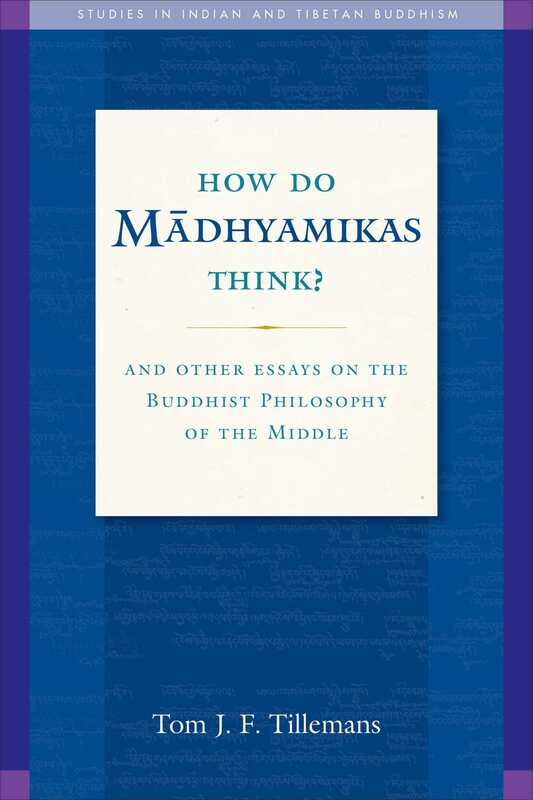 Book Cover Image (jpg): How Do Madhyamikas Think?